Alhamdulillah, Phase 1 was completed on time with your support and Dua's. However, Phase 1 is already too small and we urgently need to expand, insha'allah. Assalaamu alaikum wa rahmat Allahi wa barakatuh. 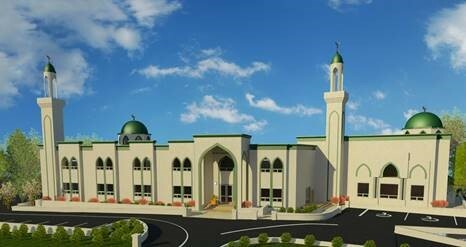 ALHAMDULI ALLAH, we have obtained a Building Permit to start the construction of Phase 2! This is a partial permit for stage 1 - excavation & shoring. We expect to start construction soon in October 2018, in shaa Allah, pending the availability of a contractor. Although we can start anytime, In shaa Allah, the next step is to find a contractor that specializes in this part of the construction. RFQ’s to contractors, contractor selection, mobilization, and site preparation is expected to take 10-12 weeks, in shaa Allah. In Ramadan, we announced that we expected to start in Spring 2019 but Allah Subhanahu wa Ta’ala has given us an earlier starting, alhamduli Allah! Work for the approval of the next stage building permit is underway. In these 1st ten days of Dhul-Hijjah, in which deeds are the most beloved to Allah, please donate generously to the Phase 2 project in the heart of Mississauga. . May Allah accept it as Sadaqah Jaariah on your behalf. Jazakum Allah Khairan!